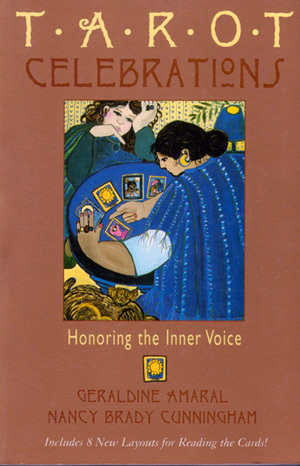 Order the classes here through Global Spiritual Studies. You can download a video recording of the two classes for $44 or pay a little more to have the files mailed to you on a DVD or USB flash drive. What inner resources can help you stay focused on the presence of the Divine? We are, at our inner core, spiritual beings and our lives are a sacred journey that is about knowing and expressing that spiritual essence. Part of the spiritual path is to be aware of our relationship with the Divine, however you conceive of it. The Tarot is a model for that path. It is a metaphor for the journey to the center of our deepest selves, and back out into the world with a broadened understanding of who we are. In these two sessions, we will use the Osho Zen Tarot as a focal point for our spiritual journey since it is often considered to be the most spiritual of all Tarot decks. 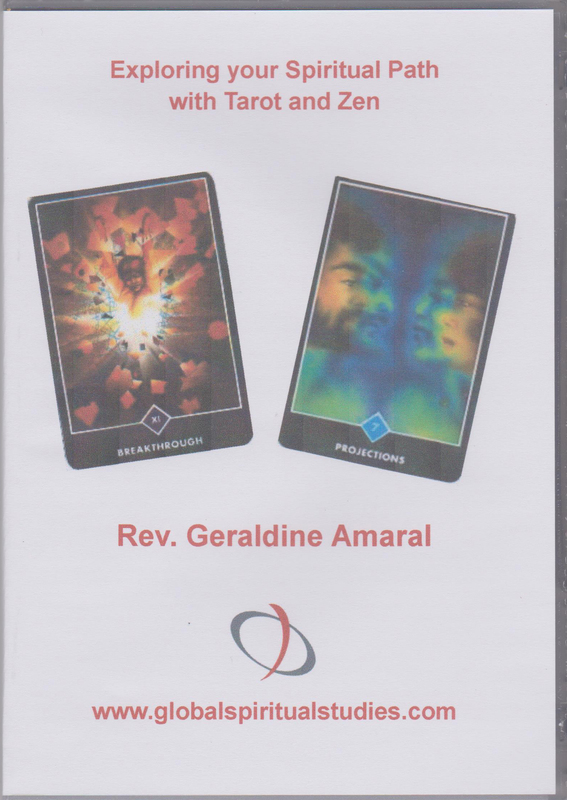 Utilizing the teachings of Zen Buddhism, this inspirational deck will aid us in tuning in to the Divine presence within. Click HERE to order the classes. NOTE: Please indicate if inscription is desired. unrelated to the day-to-day reality of the person. Well done! I am also really enjoying your book. There really is just so much in it. Thank you again for making these two brilliant creations! 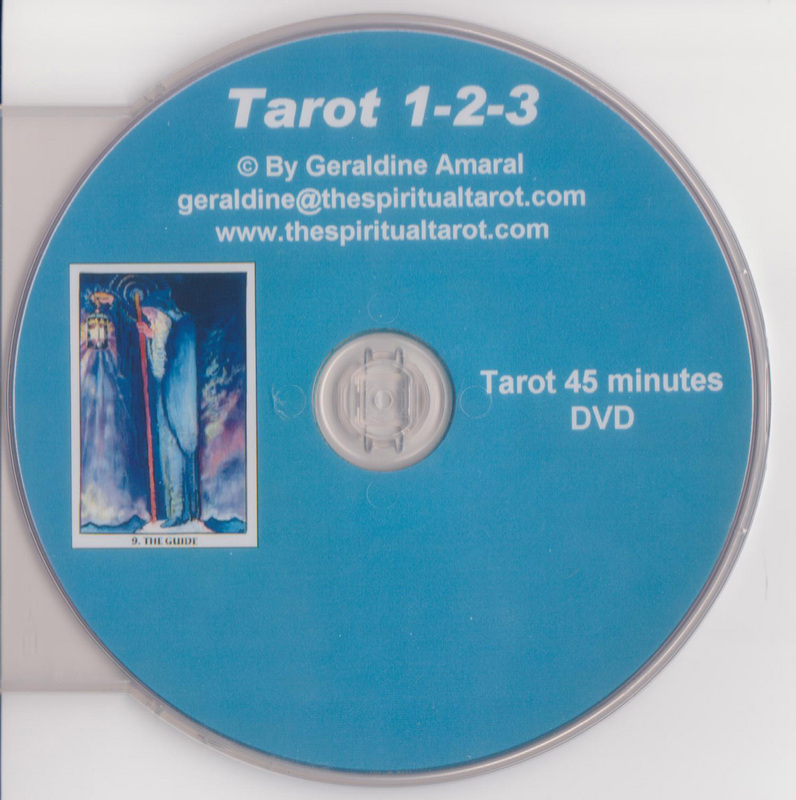 "Geraldine' Tarot 1-2-3 video is amazingly rich with information and insight. In this concise video she outlines the meaning, theory and use of Tarot and gives the viewer all they need to begin to work with this incredible tool themselves. What I found truly remarkable was how deep Geraldine was able to go in such a short period of time. I've been reading professionally for some time, and I found Tarot 1-2-3 to be an essential addition to my Tarot library. I learned a lot from it and I highly recommend it for the beginner as well as the advanced reader."